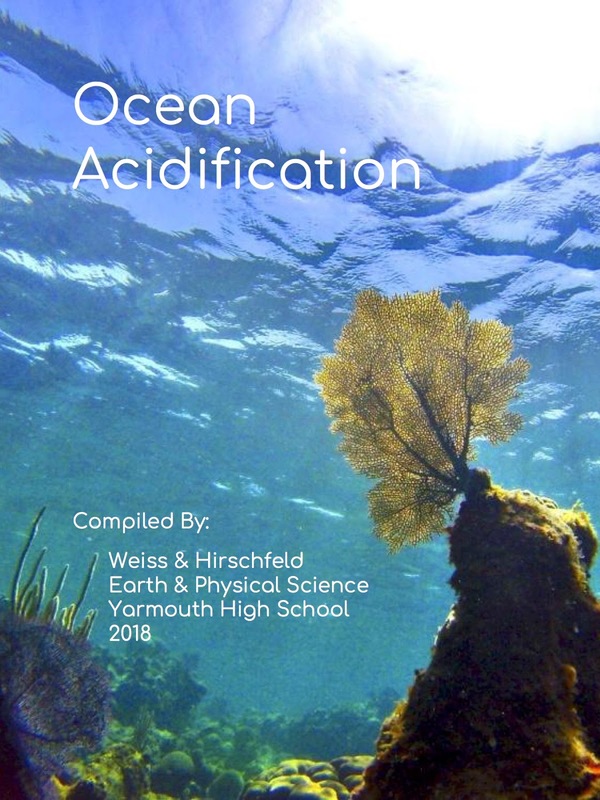 Recently in our study of Oceanography, students investigated the impact of ocean acidification. This began in the Innovation Lab participating in a simulated underwater experience using virtual reality devices and Google Expeditions. There are some photos of our time in the lab here. Students then selected a research question that illuminated a certain aspect of ocean acidification from the causes, to the impacts, to the future outlook. They provided findings through oral presentations in a symposium format to their classmates. The section culminated with students creating an informational page for an ocean acidification booklet. Each class made their own booklet that was shared with parents and guardians. We also made a master copy of select student work across all classes which is attached. This was a fun activity to do with our students as they all were invested in their part of ocean acidification and allowed us all to gain a deeper understanding of the topic. We hope you enjoy looking through their booklet and seeing the hard work our students put into this project.